Winmate, a global leader in industrial panel pc technology and solutions offers rugged panel computers to withstand harsh and severe environments. 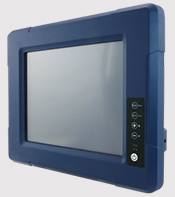 This rugged panel computer offers a low power platform design, fanless cooling, sunlight readable panel and WLAN integration. It’s build to endure shocks and vibrations and comes with a tough IP65 aluminum alloy housing with an anti-corrosion coating. The excitement and experience of the visitors rely on security and event staff to provide a rapid entry and not having to wait in line for extended periods. 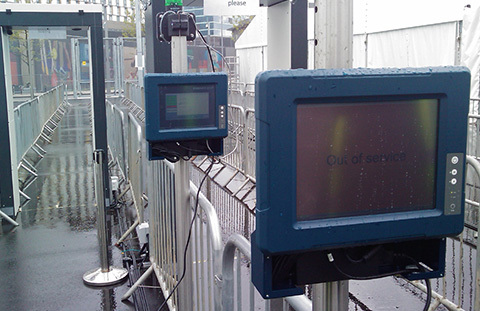 Winmate's 10.4" rugged panel pc was installed in the main entrance of stadiums where rapid entry was important. Installed outside, it will be exposed to rain and extreme temperatures its entire life, giving it the ultimate test. Powered by Intel's next-generation Bay Trail 1.8GHz quad-core N2930 processor and paired with genuine Intel graphics provides high performance with low-power impact. This allows thousands of fans and visitors to enter the stadium in short amount of time, helping staff become much more efficient. A customized cable entry frame was added to protect the standard connectors and to mount the device as required.